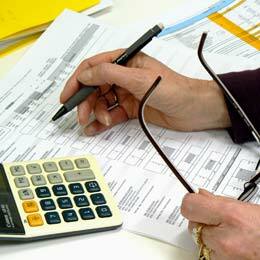 Why do you need a Chartered Accountant for Strategic Tax Planning? Tax management is one of the most complex undertakings of an organisation. Currently, businesses have to compete with the economic uncertainty and the growing regulatory oversight. To effectively manage the corporate tax obligations you have to ensure that you have the right set of people in place and are employing the updated technologies to efficiently run the process. With the increasing complexity of tax legislation it is essential to put your tax planning in safe hands. Here lies the importance of chartered accountants (CA) who have extensive knowledge and expertise to help you in your corporate tax planning. They plan the right strategy to reduce your tax liabilities and deliver cost-efficient and creative solution for the clients. Managing your own accounts is one of the less glamorous, but inevitable sides to running a successful business. Whether it's a new start-up tracking initial expenses, or running a long-established venture with many staff, they will have one thing in common. This can be both time consuming and costly. If a mistake is made in the spread sheet formulas then not only could the wrong figures be provided, but higher accountancy fees could also be incurred as the accounts comb your spread sheets for errors. Have You Got What It Takes To Become Self-Employed? 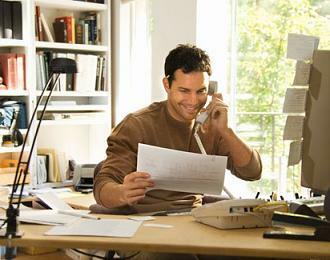 Whether you are recently unemployed, redundant or just fancy being your own boss, there are many factors to consider when it comes to becoming self-employed. You may even be unsure whether this is the right avenue for you to go down at this point, so it will help you to know exactly what is involved before taking that all important step. First of all you need to register as self-employed with HMRC within three months of the date you started trading. To do this you must establish which way you would like to trade, for example, as a sole trader, a partnership or a limited company. If you are working alone and want to keep things simple then registering as a sole trader is usually the best way to go. A recent study based on the findings of the Association of Chartered Certified Accountants (ACCA) and the Institute of Management Accountants (IMA), has shown that the two biggest long-term issues facing UK businesses are cyber crime and high energy gas prices. 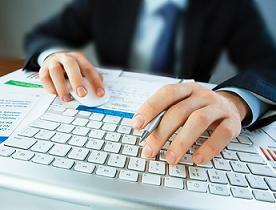 Among accountants surveyed, 78 percent stated that they had the same concerns. With more of a shift to online transactions and data storage, it potentially puts companies at risk of being infiltrated by hackers. Since gas prices are continually rising and minimal progress of alternative energy solutions has been made, this can end up eating into profits and complicating overall business operations.